Community // CrossRoad Engineers, P.C. 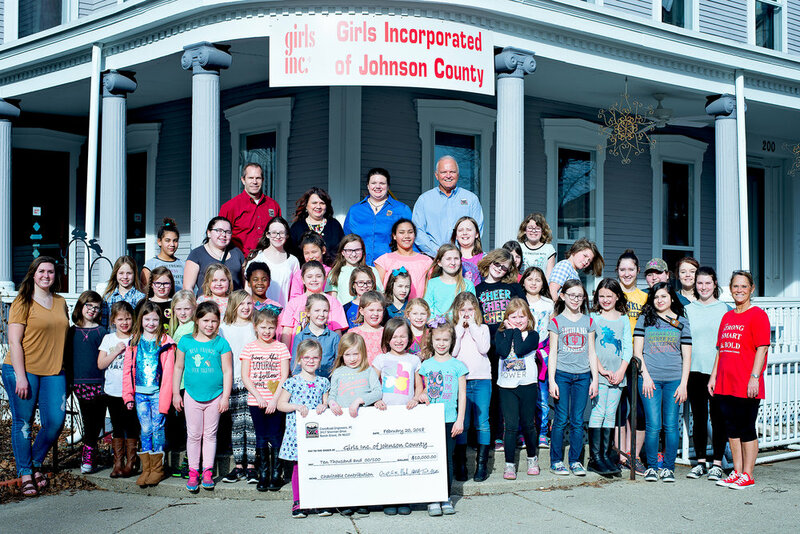 In 2018, CrossRoad Engineers made a donation to Girls Inc. of Johnson County. Girls Inc. is a national nonprofit youth organization that helps girls become smart, strong and bold. The Girls Inc. of Johnson County serves over 400 girls through summer camps and daily after school programs. Our donation is being used to help renovate their current center to add additional program space. This summer we volunteered our time to present and encourage STEM to the girls. At CrossRoad Engineers we raise our sleeve to help those in need. We host a quarterly blood drive and registration is open to both employees and anyone in the community. If you are interested in donating, please visit www.donorpoint.org. In 2009, Chip Charles made a big announcement regarding a new benefit for CRE employees. Inspired by a dream he had, Chip and the other partners decided to award college scholarships to all children of CRE employees with at least ten years of service. Every eligible child can receive up to $5,000 per year towards college expenses; they need only submit a short essay addressing their college plans. To date CRE has awarded over $70,000 in scholarships! Looking for older posts? Visit our community archives below.